AFHUB – The Action Figure Hub » Botcon 2013 News! BotCon 2013 Coming to San Diego, California June 27th â€“ June 30th! Fort Worth, TX â€“ December 7th, 2012 â€“ Fun Publications, Inc., licensee for Hasbroâ€™s official Transformers Collectorsâ€™ Convention, BotCon, announced today that next yearâ€™s award-winning convention will take place at the Town and Country Resort from June 27th thru June 30th in the beautiful city of San Diego. You can make your hotel reservations now at BotCon.com. 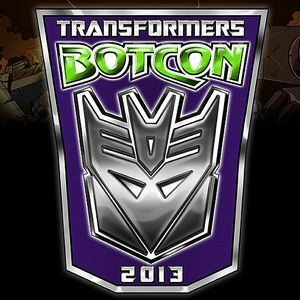 In the coming weeks, Pop Culture enthusiasts from around the world will be able to register for BotCon 2013 through the BotCon.com online registration system. Fans and Collectorsâ€™ who register for BotCon as a Primus package holder will receive the five-figure MACHINE WARS convention set, admission to the Friday private sales room experience, priority seating at all panels and seminars throughout the weekend and admittance to the Hall of Fame Celebration party. Finally, Primus package attendees will also receive a special bonus Transformers Deluxe figure to go along with their convention box set. General Admission for non-registered guests will be available on Saturday and Sunday only. For nearly 20 years, Fun Publications, Inc. has been a Hasbro licensee offering fans and collectors of pop culture memorabilia news, exclusive product and family events through different print offerings, websites, collector clubs and brand specific conventions such as GIJoeCon and BotCon. Located in Fort Worth Texas, Fun Publications reaches a large audience, serving the United States and many other countries such as Japan, Great Britain, Brazil, Australia and Canada. For more information visit TransformersClub.com, GIJoeClub.com, GIJoeCon.com, and BotCon.com. BotCon is a registered trademark of Fun Publications, Inc. (C) 2012 Fun Publications, Inc. All rights reserved.